Length: 36cm - 75cm/14.17 - 29.52"
Make of plastic material,durable and solid, flexible shape. 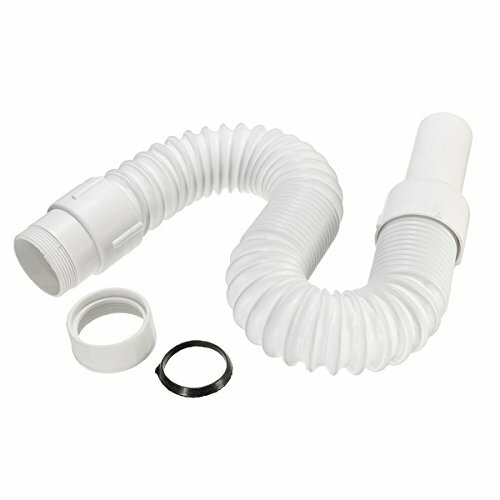 White adjustable basin/sink trap waste pipe. Length 36cm - 75cm - for 40mm in diameter. Ideal for Basin, Sink, Bathroom, Kitchen etc.